Everybody tells you what to do to take proper care of your teeth – brush at least twice a day and use floss and a mouthwash. But nobody really tells you what not to do, do they? This is problematic as despite taking good care of your teeth, you may still end up with dental problems. And that’s because you still follow certain bad oral habits, which you absolutely mustn’t! So, if you really want to flaunt that megawatt smile and eat the crispiest of things well into old age, it’s time you took the advice of dental experts and stopped doing certain things you normally do without even thinking! Granted, you may be really proud of the multifarious things your teeth can open with their pointy, sharp ends but reserve all of these opening actions for your knives, can openers, and scissors, won’t you? 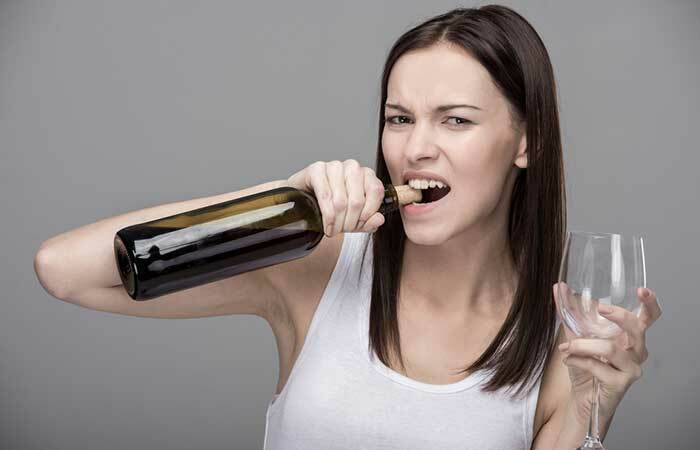 Cracking open nuts or bottle caps with your teeth can actually lead to the chipping of your enamel and gradually, the erosion and weakening of your teeth – a scenario that is certainly very far from pleasant to the say the least! Or even having it in cigarette form. No matter how you consume tobacco, it is going to damage your teeth. In fact, there’s tons of research to prove it! Using tobacco on a regular basis can not only increase your chances of contracting all sorts of gum diseases, it can even put you at great risk of getting oral cancer . With that being said, one of the lesser evils of using tobacco is that you will end up with perpetually stained teeth if nothing else. Biting off bits and pieces of our nails is something all of us have been guilty of, at least during childhood. No wonder then, one of the earliest memories of childhood comprises of your mother yelling “Stop biting all your nails off!” Well, you should listen to her when she says this as you will end up saving your teeth from a lot of trouble! Biting your nails can expose your oral environment to tons of harmful bacteria. That is because you use your hands to do everything, which means your digits accumulate tons of bacteria and other germs, which consequently get lodged under your nails. So, if you bit your nails, there are chances of you falling seriously ill and even damaging your teeth! While not a habit as much as a one-time thing, getting your lips, cheeks or tongue pierced is a bad idea from the get-go. Even if you think it looks trendy and uber “cool.” The reason for that is the Canadian Dental Association says that piercings in your mouth can cause permanent injury to your teeth as well as the insides of your lips, cheeks, and your taste buds That’s not all. With these piercings, you may even end up with a tooth fracture as well as conditions such as gum recession, which can consequently cause loss of teeth. Acidic foods also contain a lot of healthy food items such as citric fruits (oranges, lemons, and limes, for example). 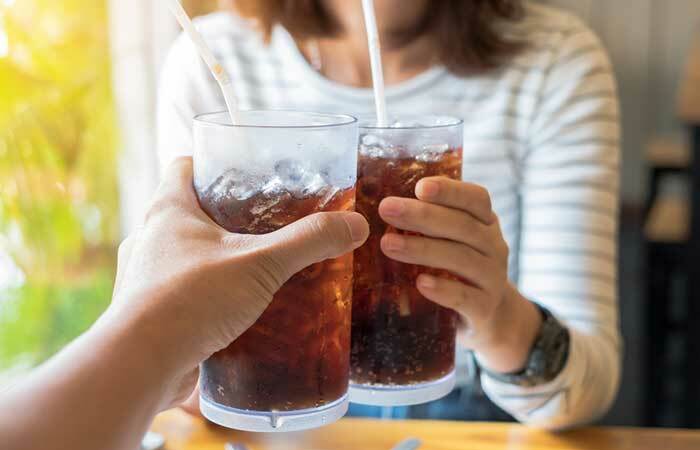 However, although the benefits of these are great for your health, excess consumption of acidic foods and beverages (cold drinks, for example) is not good for your teeth. The acidic content of these food items gradually erodes your enamel, which is the harder, outer layer covering your tooth. If your enamel is eroded, your teeth are exposed to a host of dental problems such as cavities and other diseases. These, if they become worse, may even require you to have your tooth extracted. 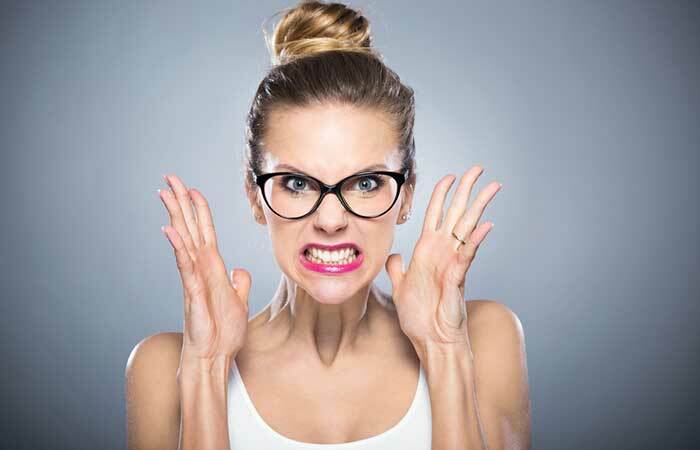 Some people, when stressed out or angry, unconsciously grind their jaw or clench their teeth in order to cope with the stressor that’s affecting them. While apparently harmless, frequent teeth clenching (medically known as bruxism) can raise your chances of suffering from misaligned teeth. This habit can also lead to the gradual deterioration of your pearly whites. Plus, jaw clenching can also lead to headaches and jaw pain. 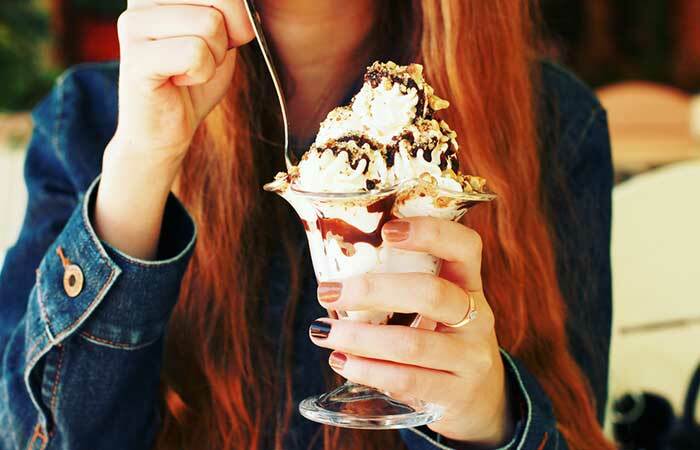 If you eat highly sugary foods, the number of oral bacteria is bound to increase. This increase in oral bacteria can lead to cavities, tooth decay, and other dental problems. Besides, high sugar consumption can also lead to a ton of other health problems such as obesity, high cholesterol, high blood pressure, etc.